Contemporary Latin is the form of the Latin language used from the end of the 19th century through to the present. Various kinds of contemporary Latin can be distinguished. On the one hand there is its symbolic survival in areas like taxonomy and others as the result of the widespread presence of the language in the New Latin era. This is normally found in the form of mere words or phrases used in the general context of other languages. On the other hand, there is the use of Latin as a language in its own right as full-fledged means of expression. Living or Spoken Latin, being the most specific development of Latin in the contemporary context, is the primary subject of this article. 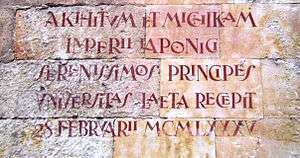 A contemporary Latin inscription at Salamanca University commemorating the visit of the then-Prince Akihito and Princess Michiko of Japan in, as the inscription states, 1985 (MCMLXXXV). The official use of Latin in previous eras has survived at a symbolic level in many mottos that are still being used and even coined in Latin to this day. Old mottoes like E pluribus unum found in 1776 on the Seal of the United States, along with Annuit cœptis and Novus ordo seclorum, and adopted by an Act of Congress in 1782, are still in use. Similarly current pound sterling coins are minted with the Latin inscription ELIZABETH·II·D·G·REG·F·D (Dei Gratia Regina, Fidei Defensor, i.e. Queen by the Grace of God, Defender of the Faith). The official motto of the European Union, adopted as recently as 2000, is the Latin In varietate concordia. Similarly to the multi-lingual European Union, the motto on the Canadian Victoria Cross is in Latin due to Canada's bilingual status. For more details on this topic, see International scientific vocabulary and English words of Greek origin. Probably the most recent innovation in this realm is the proposition of the Flemish astrophysicist Gerard Bodifee to give Latin (or Latinised Greek) names to one thousand prominent galaxies in a Catalogue of Named Galaxies (CNG, 2010). These names follow the binomial nomenclature system and thus consist of a first part, identifying the galaxy, and a second part, naming the constellation in which the galaxy is located in the sky. For example, M87, conspicuous for its plasma jet, in this system becomes Jaculatrix Virginis, meaning Thrower of or in Virgo (the Virgin), and the famous Tadpole Galaxy Gyrinus Draconis, meaning Tadpole of / in Draco (the Dragon). This system aims to honour the most impressive objects in the universe with more than meaningless and "uninspired" codes and to take them out of the specialist databases and bring them into the reach of "daily" human consciousness, in the same way as only named people, places etc. really exist in human minds. However, modern astronomers are not easily convinced to use such a system. Latin has also contributed a vocabulary for specialised fields such as anatomy and law which has become part of the normal, non-technical vocabulary of various European languages. Latin continues to be used to form international scientific vocabulary and classical compounds. In fact, more than 56% of the vocabulary still used in English today derives ultimately from Latin, either directly (28.24%) or through French (28.30%). The Catholic Church has continued to use Latin, as in preceding centuries. Two main areas can be distinguished. One is its use for the official version of all documents issued by Vatican City, which has remained intact to the present. Although documents are first drafted in various vernaculars (mostly Italian, now also German), the official version is written in Latin by the specific Latin Letters Office. The other is its use for the liturgy, which has been diminished after the Second Vatican Council of 1962-65, but seems to have recently seen some resurgence sponsored in part by Pope Benedict XVI. After the Church of England published the Book of Common Prayer in 1559, a 1560 Latin edition was published for use at universities such as Oxford and the leading public schools, where the liturgy was still permitted to be conducted in Latin, and there have been several Latin translations since. Most recently a Latin edition of the 1979 USA Anglican Book of Common Prayer has appeared. Latin has also survived to some extent in the context of classical scholarship. Some classical periodicals, like Mnemosyne or the German Hermes, to this day accept articles in Latin for publication. The famous hymn Gaudeamus igitur is acknowledged as the anthem of academia and is sung at university opening or graduation ceremonies throughout Europe. Living Latin (latin vivant in French or Latinitas viva in Latin itself), also known as Spoken Latin, is an effort to revive Latin as a spoken language and as the vehicle for contemporary communication and publication. Involvement in this Latin revival can be a mere hobby or extend to more serious projects for restoring its former role as an international auxiliary language. As soon as the decline of Latin at the end of the New Latin era started to be perceived, there were attempts to counteract this process and revitalize the use of Latin for international communication. In 1815 Miguel Olmo wrote a booklet proposing Latin as the common language for Europe with the title Otia Villaudricensia ad octo magnos principes qui Vindobonæ anno MDCCCXV pacem orbis sanxerunt, de lingua Latina et civitate Latina fundanda liber singularis (Villaudric leisure to the eight great princes who signed world peace at Vienna in 1815, a book about the Latin language and the founding of a Latin state). In the late nineteenth century, Latin periodicals advocating the revived use of Latin as an international language started to appear. Between 1889 and 1895 Karl Heinrich Ulrichs published in Italy his Alaudæ. This publication was followed by the Vox Urbis: de litteris et bonis artibus commentarius, published by the architect and engineer Aristide Leonori from 1898, twice a month, until 1913, one year before the outbreak of World War I. The early 20th century, marked by warfare and by drastic social and technological changes, saw few advances in the use of Latin outside of academia. Following the beginnings of the re-integration of postwar Europe, however, Latin revivalism gained some strength. One of its main promoters was the former dean of the University of Nancy (France), Prof. Jean Capelle, who in 1952 published a cornerstone article called "Latin or Babel" where he proposed Latin as an international spoken language. Capelle was called "the soul of the movement" when in 1956 the first International Conference for Living Latin (Congrès international pour le Latin vivant) took place in Avignon, marking the beginning of a new era for the active use of Latin. About 200 participants from 22 different countries took part in that foundational conference. Although the older pronunciation, as found in the nomenclature and terminology of various professions, continued to be used for several decades and, in some spheres, prevails to the present day, contemporary Latin as used by the living Latin community is largely characterized by the general adoption of the classical pronunciation of Latin as restored by specialists in Latin historical phonology. A similar shift occurred in German-speaking areas; the traditional pronunciation is discussed in Deutsche Aussprache des Lateinischen (German), while the reconstructed classical pronunciation, which took hold circa 1900, is discussed at Schulaussprache des Lateinischen. Many users of contemporary Latin promote its use as a spoken language, a movement that dubs itself "Living Latin". Two main aims can be distinguished in this movement. Among the proponents of spoken Latin, some promote the active use of the language to make learning Latin both more enjoyable and more efficient, in this respect drawing upon the methodologies of instructors of modern languages. In the United Kingdom, the Association for the Reform of Latin Teaching (ARLT, still existing as the Association for Latin Teaching), was founded in 1913 by the distinguished Classical scholar W. H. D. Rouse. It arose from Summer Schools which Rouse organised in order to train Latin teachers in the direct method of language teaching, which entailed using the language in everyday situations rather than merely learning grammar and syntax by rote. The Classical Association also encourages this approach. The Cambridge University Press has now published a series of school textbooks based on the adventures of a mouse called Minimus designed to help children of primary school age to learn the language, as well as its well-known Cambridge Latin Course (CLC) to teach the language to secondary school students, all of which include extensive use of dialogue and an approach to language teaching mirroring that now used for most modern languages, which have brought many of the principles espoused by Rouse and the ARLT into the mainstream of Latin teaching. Outside of Great Britain, one of the most accomplished handbooks used worldwide that fully adopts the direct method for Latin is the well-known Lingua Latina per se illustrata by the Dane Hans Henning Ørberg published first in 1955 and improved in 1990. It is composed fully in Latin, and requires no other language of instruction, wherefore it is used to teach pupils whatever their mother tongue. Others support the revival of Latin as a language of international communication, in the academic, perhaps even scientific and diplomatic, spheres (as it was in Europe and European colonies through Middle Ages until the mid-18th century), or as an international auxiliary language to be used by anyone. However, as a language native to no people, this movement has not received support from any government, national or supranational. The foundational first International Conference for living Latin (Congrès international pour le Latin vivant) that took place in Avignon was followed by at least five others. As a result of those first conferences, the Academia Latinitati Fovendae was then created in Rome. Among its most prominent members are well-known classicists from all over the world, like Prof. Michael von Albrecht or Prof. Kurt Smolak. The ALF held its first international conference in Rome in 1966 bringing together about 500 participants. From then on conferences have taken place every four or five years, in Bucharest, Malta, Dakar, Erfurt, Berlin, Madrid, and many other places. The official language of the ALF is Latin and all acts and proceedings take place in Latin. The first Septimana Latina Amoeneburgensis (Amöneburg Latin Week) was organized in 1989 at Amöneburg near Marburg / Germany by Mechtild Hofmann and Robert Maier. Since then the Latin Weeks were offered every year. In addition, members of the supporting association Septimanae Latinae Europaeae (European Latin Weeks) published a text book named Piper Salve that contains dialogues in modern everyday Latin. At the Accademia Vivarium Novum located in Rome, Italy, all classes are taught by faculty fluent in Latin or Ancient Greek, and resident students speak in Latin or Greek at all times outside of class. Most students are supported by scholarships from the Mnemosyne foundation and spend one or two years in residence to acquire fluency in Latin. The living Latin movement eventually crossed the Atlantic, where it continues to grow. In the summer of 1996, at the University of Kentucky, Prof. Terence Tunberg established the first Conventiculum, an immersion conference in which participants from all over the world meet annually to exercise the active use of Latin to discuss books and literature, and topics related to everyday life. The success of the Conventiculum Lexintoniense has inspired similar conferences throughout the United States. In October 1996 the Septentrionale Americanum Latinitatis Vivæ Institutum (SALVI, or North American Institute for Living Latin Studies) was founded in Los Angeles, California, by a group of professors and students of Latin literature concerned about the long-term future of classical studies in the US. In the University of Kentucky, Prof. Terence Tunberg founded the "Institutum Studiis Latinis Provehendis" (known in English as the Institute of Latin Studies), which awards Graduate Certificates in Latin Studies addressed at those with a special interest gaining "a thorough command of the Latin language in reading, writing and speaking, along with a wide exposure to the cultural riches of the Latin tradition in its totality". This is the only degree-conferring program in the world with courses taught entirely in Latin. At the present time, several periodicals and social networking web sites are published in Latin. In France, immediately after the conference at Avignon, the publisher Théodore Aubanel launched the magazine Vita Latina, which still exists, associated to the CERCAM (Centre d’Étude et de Recherche sur les Civilisations Antiques de la Méditerranée) of the University Paul Valéry of Montpellier. Until very recently, it was published in Latin in its entirety. In Germany, the magazine Vox Latina was founded in 1956 by Caelestis Eichenseer (1924–2008) at the University of Saarbrücken and is to this day published wholly in Latin four times a year. In Belgium, the magazine Melissa created in 1984 by Gaius Licoppe is still published six times a year completely in Latin. "Hebdomada aenigmatum"  is a free online magazine of crosswords, quizzes, and other games in Latin language. It is published by the Italian cultural Association Leonardo in collaboration with the online Latin news magazine Ephemeris  and with ELI publishing house. The Finnish radio station YLE Radio 1 has for many years broadcast a now famous weekly review of world news called Nuntii Latini completely in Latin. The German Radio Bremen also has regular broadcasts in Latin. Other attempts have been less successful. Beginning from July 2015 Radio F.R.E.I. from Erfurt (Germany) broadcasts in Latin once a week on Wednesdays for 15 minutes; the broadcast is called Erfordia Latina. The emergence of the Internet on a global scale in the 1990s provided a great tool for the flourishing of communication in Latin, and in February 1996 a Polish Latinist from Warsaw (Poland), Konrad M. Kokoszkiewicz, founded what is still today the most populated and successful Latin-only email list on the Internet, the Grex Latine Loquentium. Subsequently the Nuntii Latini of YLE Radio 1 would also create a discussion list called YLE Colloquia Latina. The Circulus Latinus Panormitanus of Palermo (Italy) went a step further creating the first online chat in Latin called the Locutorium. 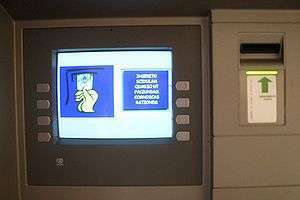 A number of Latin web portals, websites, and weblogs in Latin have developed, like Lingua Latina Æterna from Russia or Verba et facta from somewhere in the US. Some websites, such as Google and Facebook, provide Latin as a language option. There is even a Latin Wikipedia, although discussions are held not only in Latin but in German, English, and other languages as well. Nearly 200 active editors work on the project. There are nearly 100,000 articles on topics ranging from ancient Rome to mathematics, Tolkien's fiction, and geography. 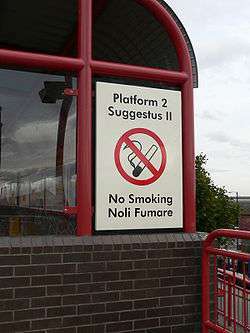 Those in particularly good Latin, currently about 10% of the whole, are marked. 1962. Pegasus Tolutarius by Henry C. Snurr aka C. Arrius Nurus. 1991. Periegesis Amatoria by Geneviève Immè. 1992. Harmonica vitrea by Anna Elissa Radke. 1965. Sententiæ by Alain van Dievoet (pen name: Alanus Divutius). 2011. Capti: Fabula Menippeo-Hoffmanniana Americana by Stephen A. Berard (pen name: Stephanus Berard). 2008. O Tempora! by the Kulturzeit team (37:44min extra emission 22/8/2008) of the German public channel 3sat. 1987. "The Classical Wizard / Magus Mirabilis in Oz" (The Wonderful Wizard of Oz) tr. C.J. Hinke and George Van Buren. 1992–7. Neues Latein Lexicon / Lexicon recentis Latinitatis by Karl Egger, containing more than 15,000 words for contemporary everyday life. ↑ Yancey, P.H. (March 1944). "Introduction to Biological Latin and Greek". Bios. 15 (1): 3–14. JSTOR 4604798. ↑ According to the computerised survey of about 80,000 words in the old Shorter Oxford Dictionary (3rd ed.) published in Ordered Profusion by Thomas Finkenstaedt and Dieter Wolff, Cf. Latin influence in English. ↑ Cf. Konrad M. Kokoszkiewicz, "A. Gellius, Noctes Atticæ, 16.2.6: tamquam si te dicas adulterum negent", Mnemosyne 58 (2005) 132-135; "Et futura panda siue de Catulli carmine sexto corrigendo", Hermes 132 (2004) 125-128. ↑ IJsewijn, Jozef, Companion to Neo-Latin Studies. Part I. History and Diffusion of Neo-Latin Literature, Leuven University Press, 1990, p. 112s. ↑ Cf. Wilfried Stroh (ed. ), Alaudæ. Eine lateinische Zeitschrift 1889-1895 herausgegeben von Karl Heinrich Ulrichs. Nachdruck mit einer Einleitung von Wilfried Stroh, Hamburg, MännerschwarmSkript Verlag, 2004. ↑ Cf. Volfgangus Jenniges, "Vox Urbis (1898-1913) quid sibi proposuerit", Melissa, 139 (2007) 8-11. ↑ F. Brittain (1934). Latin in Church (first ed.). Cambridge University Press. p. 60. ↑ The School World: A Monthly Magazine of Educational Work and Progress, Volume 9. Macmillan & Co. 1907. ↑ E.g. Prof. Edgar H. Sturtevant (The Pronunciation of Greek and Latin, Chicago Ares Publishers Inc. 1940) and Prof. W. Sidney Allen (Vox Latina, A Guide to the Pronunciation of Classical Latin, Cambridge University Press 1965), who followed in the tradition of previous pronunciation reformers; cf. Erasmus's De recta Latini Græcique sermonis pronuntiatione dialogus and even Alcuin's De orthographia. ↑ The fifth conference took place in Pau, France, from the 1st to the 5th of April 1975. ↑ Cf. Vicipaedia. Taberna, analogous to the "village pump" elsewhere. Legatio or "embassy"
↑ As of August 2013, there are 94,777 pages, of which about a third are marked as stubs. Among the pages whose Latin has been assessed, 9,658 are marked as having good Latin and just over 500 are marked as poor Latin. ↑ IJsewijn, Jozef, Companion to Neo-Latin Studies. Part I. History and Diffusion of Neo-Latin Literature, Leuven University Press, 1990, p. 113. ↑ IJsewijn, Jozef, Companion to Neo-Latin Studies. Part I. History and Diffusion of Neo-Latin Literature, Leuven University Press, 1990, p. 123. 1 2 IJsewijn, Jozef, Companion to Neo-Latin Studies. Part I. History and Diffusion of Neo-Latin Literature, Leuven University Press, 1990, p. 293. ↑ IJsewijn, Jozef, Companion to Neo-Latin Studies. Part I. History and Diffusion of Neo-Latin Literature, Leuven University Press, 1990, p. 226. ↑ IJsewijn, Jozef, Companion to Neo-Latin Studies. Part I. History and Diffusion of Neo-Latin Literature, Leuven University Press, 1990, p. 156. ↑ Robinson Crusoe in Latin at archive.org. W.H.S.Jones, M.A. Via Nova or The Application of the Direct Method to Latin and Greek, Cambridge University Press 1915. José Juan del Col, ¿Latín hoy?, published by the Instituto Superior Juan XXIII, Bahía Blanca, Argentina, 1998. Downloadable PDF version: ¿Latín hoy?. Françoise Waquet, Le latin ou l'empire d'un signe, XVIe-XXe siècle, Paris, Albin Michel, 1998. Guy Licoppe, Le latin et le politique : les avatars du latin à travers les âges, Bruxelles, 2003.